Well isn't this just peachy: a new study published in the Journal of the Science of Food and Agriculture found that the nutritional benefits of peaches—low in calories/glycemic index, stellar source of vitamins, phytonutrients and fiber, and potential cancer-fighting properties—are only amplified when canned. 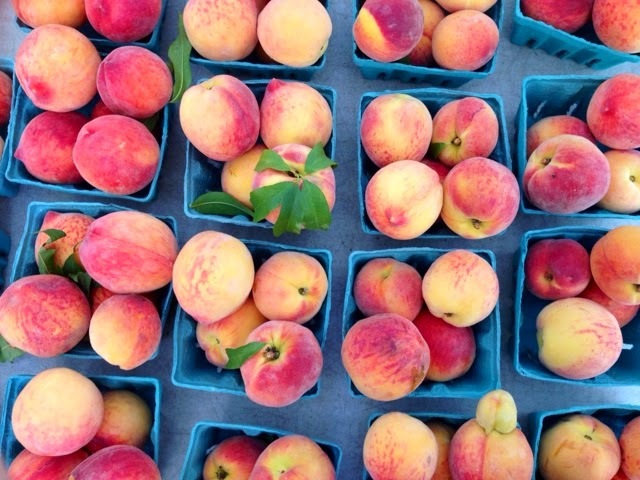 Picked and parceled at the peak of freshness, canned peaches let their [cell] walls down, freely distributing greater levels of vitamins (specifically, vitamin C, antioxidants and folate) than when fresh. 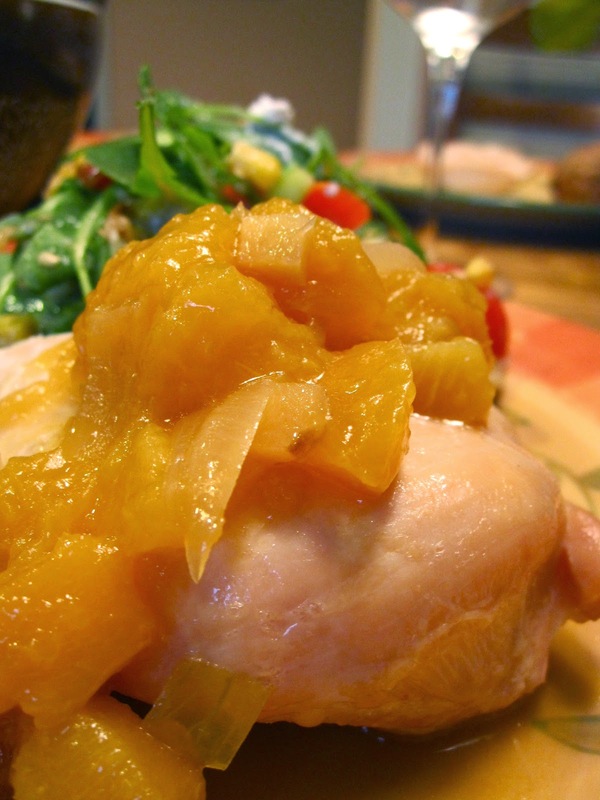 Hailing from Better Homes and Gardens (my favorite magazine, despite owning neither a home nor a garden), this recipe appeared in the August edition highlighting dishes featuring peaches. At only 41 calories per serving, it truly is summertime light. Biting ginger and crushed red pepper perfectly offset the honeyed peaches, while the soy sauce, fish sauce and rice wine vinegar add subtle Asian flare. Slow simmering the peaches makes the flesh delicately soft and tender to the touch; yielding a liquid that is literally drinkable. I served the Ginger Peach Sauce atop grilled chicken; I think it would work with grilled shrimp, salmon, and tofu as well. Alternatively, you can serve as a dipping sauce for rustic, crusty bread. Either way, these peaches could not be more palatable—a must-try during peak season of the sensational stone fruit. 1. In a midsized saucepan, heat oil over medium heat. Add the chopped onion and ginger; cook and stir for 1 minute. 2. Add peaches, soy sauce, honey, rice vinegar and fish sauce to the saucepan; bring to simmer. 3. Cook, uncovered, for 10 minutes or until peaches soften. Sprinkle with crushed red pepper. 4. Serve atop grilled chicken, shrimp, salmon, or tofu.